Comps? Staging? Note? Confused by the terminology used when buying home? To start you on your home buying path with confidence, here’s a short list of some of the most common terms used when buying a home. Appraisal – A professional analysis used to estimate the value of the home. A necessary step in validating the home’s worth to you & your lender to secure financing. Closing Costs – The cost to complete the real estate transaction. Paid at closing, they include: points, taxes, title insurance, financing costs, items that must be prepaid or escrowed. Ask your lender for a complete list of closing cost items. Comps (comparables) – Properties used for comparison in the real estate appraisal process. Your real estate agent compares similar properties nearby that have sold recently to get an idea of what your house is worth. They could also attempt to establish the value of your home or property through market analysis. Contingency – A condition that must be met, such as selling your current home, before your contract to purchase a new home becomes binding. Credit Score – A number ranging from 300-850, that is based on an analysis of your credit history. Helps lenders determine the likelihood that you’ll repay future debts. Down Payment – Down payments are typically 3-20% of the purchase price of the home. 0% down programs also exist, ask your lender for more information. Earnest Money – Money the buyer gives the seller as a security deposit for the home. It tells the seller you’re a committed buyer, and it helps fund your down payment. Mortgage Insurance – An insurance policy which will repay a portion of the loan if the borrower does not make payments as agreed upon in the note. Mortgage insurance may be required in cases where the borrower makes less than a 20% down payment on the home loan. Mortgage Rate – The interest rate you pay to borrow money to buy your house. The lower the rate, the better. Note – The agreement which states the home mortgage amount to be borrowed and the terms and conditions of the loan. It also includes a complete description of how the loan should be repaid and the time frame for the repayment. Pre-Approval Letter – A letter from a lender indicating that you qualify for a mortgage of a specific amount. Real Estate Professional – An individual who provides services in buying & selling homes. Real estate professionals are there to help you through the confusing paperwork, find your dream home, negotiate any of the details that come up, and to help you know exactly what’s going on in the housing market. 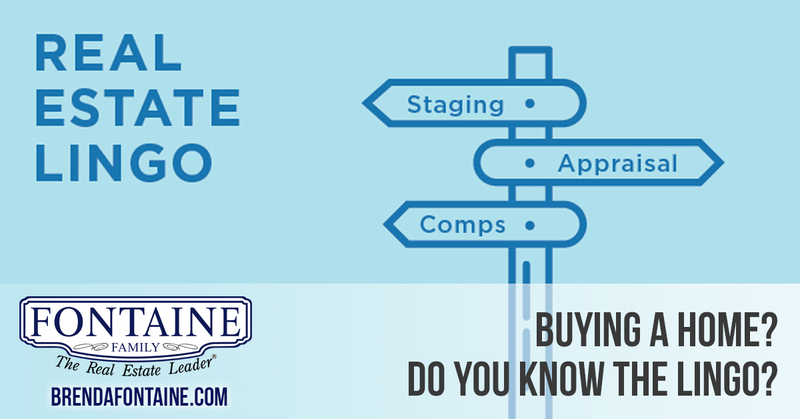 Staging – Preparing a private residence for sale in the real estate marketplace. The goal of staging is to make a home appealing to the highest number of potential buyers, thereby selling a property more swiftly and for more money. Title – Ownership of real estate or personal property. With real estate, title is evidenced by a deed (or other document) recorded in the county land records office. Zoning – Ordinances that control the size, location, and use of buildings within these different areas that have a profound effect on traffic, health, and livability. The best way to ensure that your home-buying experience is a positive and confident one is to find a local real estate professional who will guide you through the process with your interests in mind, while putting your family’s needs first. 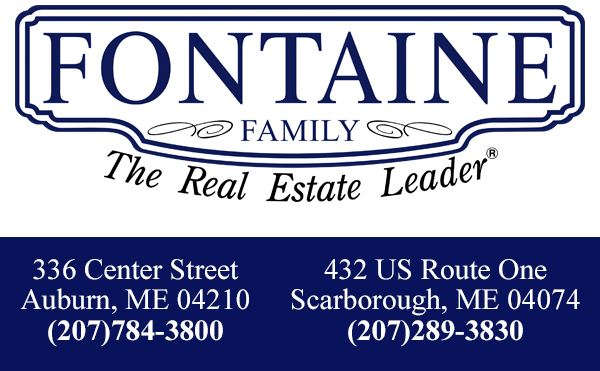 At Fontaine Family, we’re here for you at every step in your home buying journey and would love the opportunity to answer all your questions! Get in touch with one of our local agents today!